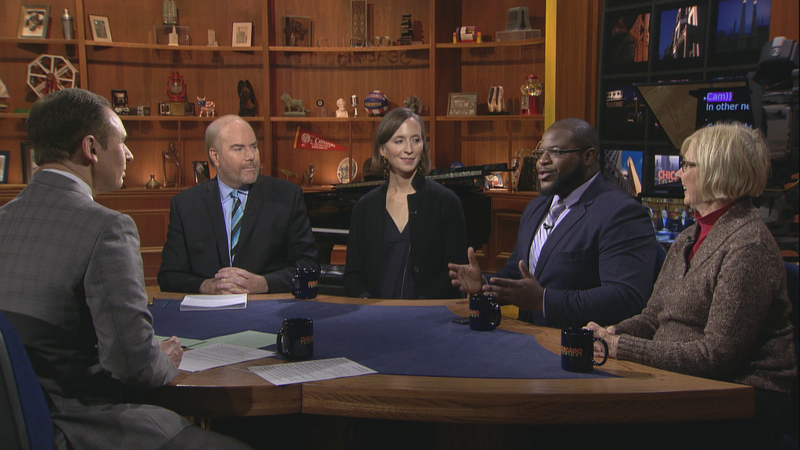 With Election Day closing in, debates between Illinois Gov. Bruce Rauner and Democratic challenger JB Pritzker devolve into verbal cage matches. Both candidates are on the same page, however, about not revealing their offshore investments. A new poll shows Pritzker with a 20-point lead over Rauner, despite “toiletgate” circling around again, while Rauner blames undocumented immigrants for underemployment, crime and stealing jobs. Convicted Chicago police Officer Jason Van Dyke is transferred out of Cook County to the Rock Island County Jail, three hours west of the city, for his own protection as his lawyer vows to appeal. Organizers are urging activists to get out the vote, targeting aldermen who voted to approve police misconduct payouts. Mayor Rahm Emanuel strikes back at the Trump administration’s vows to oppose the hard-fought police consent decree. And Sears appears to be on the brink of bankruptcy. In sports: Can the Bears stay in first place? And Kris Bryant reportedly turns down a $200 million contract. What’s his future with the Cubs? The conversation continues in our web-extra video. This week, Arruza and guests discuss the “interesting” visit to the White House by Grammy Award-winning rapper – and former Chicagoan – Kanye West.